Funded with northern capital in 1886, the Delta and Pine Land Company of Mississippi (DPL) remained in existence through a variety of incarnations for more than 125 years. 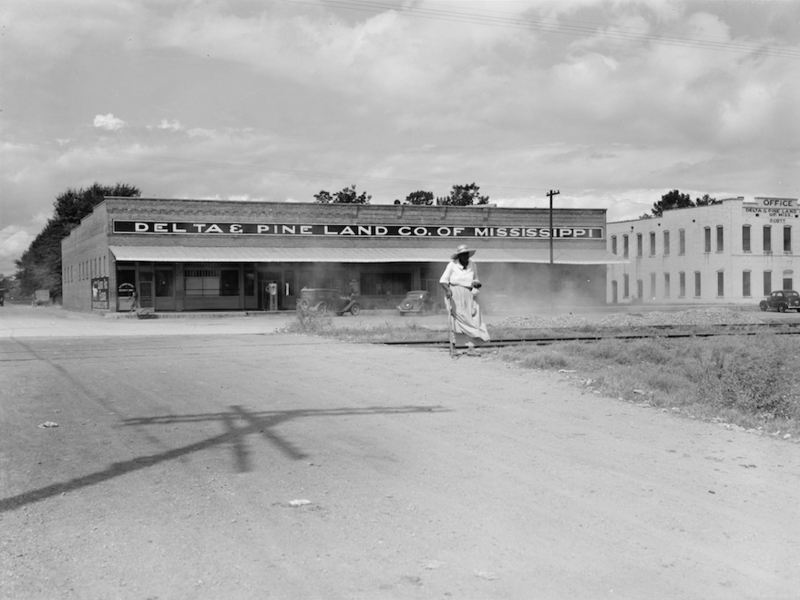 Formed to sell farm and timber land in post-Reconstruction Mississippi, the company helped stimulate and shape the state’s land development, most notably in the Mississippi Delta. By the 1910s DPL had sold more than a half million Mississippi acres. The company might have gone out of business had it not been for its valuable perpetual charter—permitted briefly under Mississippi law—that carried no limits on capitalization or size and value of landholdings. Neither subsequent restrictions nor Mississippi’s Constitution of 1890 changed that charter, leaving DPL and three others unique among Mississippi corporations. Populist efforts after the turn of the century prompted limits on corporate agricultural landholdings, but the Mississippi Supreme Court upheld DPL’s exemptions in a 1917 decision, Southern Realty Co. v. Tchula Cooperative Stores. DPL’s special charter attracted a group of British investors who early in the century had sought prime Mississippi farmland to supply English mills with long-staple cotton. The investors represented the Fine Cotton Spinners’ and Doublers’ Association of Manchester, England, a fiber conglomerate that had grown to fifty affiliates after it was organized in 1898 by some of England’s ablest commercial giants. Disappointment with Egyptian long-staple cotton apparently prompted the British to investigate the highly successful cotton work of Prof. Jesse W. Fox of the agricultural experiment station in Greenville, Mississippi. Aggressive salesmanship by land promoter Lant K. Salsbury and others led the Fine Spinners to acquire tens of thousands of Delta acres in 1911, slipping through a loophole in Mississippi law limiting tillable acreage by creating two holding companies that in turn leased their land to an operating corporation, the Mississippi Delta Planting Company. Salsbury, a Michigan native who became a timber and land promoter in his adopted South, assumed the company’s presidency. With boll weevil threats on the horizon, the British investment likely helped stabilize the state’s volatile land market. Fearing renewed Populism, the British conglomerate joined with minority investors to purchase DPL’s name and charter in 1919, thereby acquiring immunity from future limitations of the Mississippi legislature. Nevertheless, the company’s long-staple cotton proved unsuitable for British spindles, and despite scientific research and development, including prolific seed varieties bred by company geneticist Early Ewing Sr., insect infestation and floods left the company awash in red ink. With millions of dollars invested, attempts to unload the company’s unprofitable American holdings fell through, and the Mississippi River Flood of 1927 destroyed the crop and scattered black sharecroppers. Salsbury left for new adventures, replaced as president by the company’s general counsel, Oscar Goodbar Johnston, a Mississippi-born lawyer and former legislator and planter who had originally been retained to assist in the sale of the mammoth plantation. Johnston led the company in fiscal retrenchment, moved DPL headquarters from Memphis to the tiny Mississippi Delta village of Scott, and changed the several thousand black tenants to half shares, meaning that they supplied only their labor while the company provided seed, mules, work implements, housing, and woodland for fuel. Half the value of the cotton crop, minus deductions for items purchased on credit, belonged to the tenants, half to the company, while they shared fertilizer and pest control costs equally. The plantation, consisting of approximately thirty-eight thousand acres, decentralized into twelve units, offered incentives for local managers, hired its own policeman, and was home to seven county schools for tenant children. Johnson increased the paternalistic social welfare programs Salsbury had begun, using public and private resources to treat or prevent common diseases, including malaria, typhoid, and pellagra, and to provide primary care and hospitalization on the plantation. In the 1920s and 1930s, the company improved tenant housing; added recreational facilities, including a movie theater; helped fund several black churches on the plantation; encouraged live-at-home garden cultivation and improved diets; and acquired a federally funded instructor in home economics to teach food preservation. While World War II swept agricultural labor off the farm and increased the demand for mechanization, the development of the long-awaited, long-feared cotton picker changed cotton’s kingdom, including DPL, forever. Johnston was forced into retirement in 1950, and within a decade the sharecropper was also gone. The British eventually sold out, but Delta and Pine Land survived, a model of stability amid the vicissitudes of twentieth-century agriculture. In June 2007, with US Justice Department approval, DPL, the world’s oldest privately held seed producer, was acquired by the Monsanto Company for $1.5 billion cash. The otherwise sleepy Delta village of Scott remained DPL’s headquarters as the company began the newest phase of an expanding twenty-first-century empire that not even the most optimistic investor could have foreseen.